Our agency does business with multiple insurance companies, so we can usually offer you a variety of coverage choices and customize a plan to meet your specialized needs. Our agency is paid a commission for selling and servicing your account. The amount is based on the standard commission schedules established by each of the companies we work with, and is subject to review by the state regulator to ensure that it is neither excessive, inadequate or unfairly discriminatory. We do not charge you anything for the placement of your policies. We are compensated solely by the insurance company in the manner previously described. However, we may charge certain fees specifically authorized by statute, such as to cover the cost of obtaining a motor vehicle report. Our agency will attempt to obtain quotes from more than one insurer for your consideration. However, we cannot investigate every available product that might suit your needs. We will attempt to answer any question you may have regarding the different quotes, insurers, or policies that we do obtain, if any, but be aware that YOU make the final decisions on which insurance products you wish to purchase, along with the types and amount of coverage, deductibles, and other material terms relating to your insurance needs. If you would like more information about our compensation or have any other questions, please contact us. 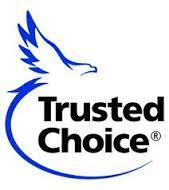 Thank you for choosing us and allowing us to serve your insurance needs.